As America’s favorite pastime, baseball has earned loyal fans across the country. And there’s no better time to indulge that loyalty than Spring Training. With the Cactus League welcoming 15 teams to the sun-drenched desert this March, The Ritz-Carlton, Phoenix has created the perfect opportunity to see them all in action. The Phoenix hotel’s “Take Me Out to the Ball Game” package lets baseball aficionados support their favorite teams while enjoying the convenient location and elegant amenities of one of the most luxurious hotels in Phoenix, Arizona. Guests who book the package begin their experience with a savory American breakfast for two (think Blue Corn Pancakes or Scottish Smoked Salmon) at either the award-winning bistro 24 or in the comfort of their deluxe guest room. From there, visitors can consult their complimentary Spring Training schedule to decide which game to attend. 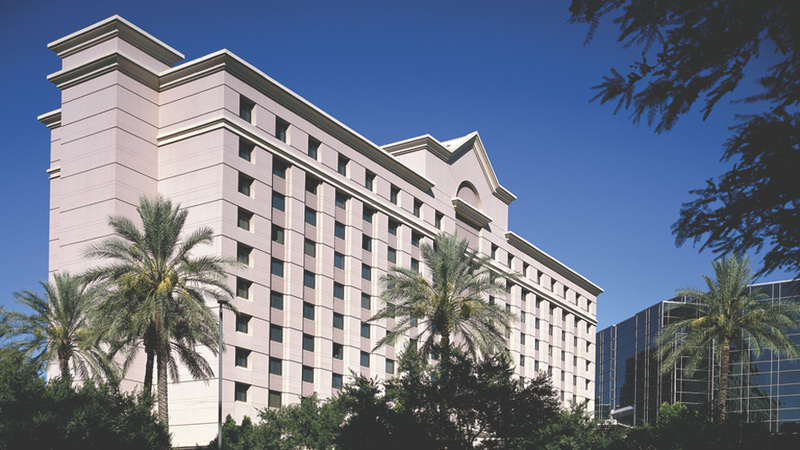 The hotel’s location near the Phoenix Biltmore puts it within 30 minutes of Greater Phoenix’s 10 major sports stadiums. So whether baseball fans want to watch the Chicago Cubs in Mesa, the San Francisco Giants in Scottsdale or the Arizona Diamondbacks at Salt River, they can easily catch the afternoon game and still have plenty of time beforehand for a dip in the rooftop pool, a round of golf or a shopping trip at the upscale Biltmore Fashion Park situated directly across the street. As one of the most fun and exciting Phoenix hotel packages available for Spring Training, Take Me Out to the Ball Game also includes overnight valet parking, maps and directions to all Spring Training facilities and an exclusive Spring Training amenity. Best of all, visitors can look forward to relaxing in the hotel’s deluxe guest rooms, which feature featherbeds, full marble bathrooms, Wi-Fi and 42-inch LED televisions. Enhanced accommodations are also available, either at the Club Level, which offers additional services and amenities, or in one of the hotel suites, which are among the most well-appointed in Phoenix. And with dining options like a starlit dinner on bistro 24’s patio or happy hour at the Club Bar available, guests can make sure every day of their visit truly hits it out of the park. The Take Me Out to the Ball Game package is available between March 1 and April 5, 2015. Rates begin at $349 per night, based on single or double occupancy. For additional details, click here.